Know the name of the soccer team in Detroit? You will if Sean Mann ’03 has his way. Working for the U.S. Defense Department and NATO, Kim Osborne ’93 served as the top civilian communication adviser to the Afghan security ministries. Facets of K are threaded deeply throughout Sierra Leone’s University of Koinadugu, which Alhaji N’Jai hopes will enroll 70 students in its first year. After a success-filled, 35-year tenure as the women’s volleyball coach, Jeanne Hess is retiring after commencement ceremonies this summer. 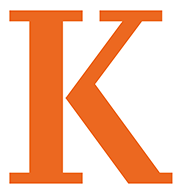 Copyright © 2019 Kalamazoo College. All rights reserved except the right to make private, noncommercial use hereof. The content on this website ("BeLight") is the property of Kalamazoo College and is protected by copyright law in the U.S. and elsewhere. This means that the right to copy and publish "BeLight" is reserved, even though "BeLight" is made available by this service for free; "BeLight" may not be copied in whole or in part or further distributed in any form or medium without the express written permission from Kalamazoo College, 269.337.7000.